One year on the high speed turbines. Made in the USA since 1988. Serving our customers worldwide for almost 30 years. The 400xs is the product of years of intensive research and development, the revolutionary SCM 400xs engraver is the most advanced hand piece on the market today! 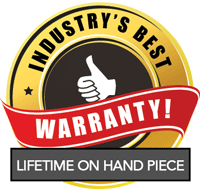 Utilizing the contemporary science of ergonomics to fit your hand with maximum ease and a vibration-free operation, its designed for hours of the most comfortable operation possible and profitable performance! SCM equipment is manufactured from the highest quality materials available under the most exacting standards of quality control, unexcelled by any other engraving system. Although you only apply a small amount of pressure when engraving, its that pressure which eventually wears out any hand piece. The SCM 400xs engraver, with its unique dual-bearing design, provides much greater internal support for engraving pressure. That means longer life with trouble-free service and more profitable performance! The SCM 400xs delivers maximum control and cutting ability whether youre making the final cut on a custom car window or completing a detailed egg shell, SCMs high-speed 400,000 rpm handpiece gives you a smooth and controlled cut, through the entire operating range. With the 400xs Lube For Life Bearing construction. There is no longer a need for the old style messy in-line mist fog oiler. SCM is the founder of this type of bearing construction. This is our most popular feature. You cannot measure reliability by the product alone, but also by the experience of the professionals who use it. Engravers who demand quality in precision instruments choose SCMs 400xs. Before you invest in anything, compare quality, value and price. The facts are all there, and the proof is all yours for the asking. Just call us at 1-800-755-0261, well be glad to answer your questions. The High Speed Engraving Drill. The most technologically advanced handpiece on the market today, the revolutionary SCM engraver operates at an amazing 400,000 revolutions per minute - yet, it's light and easy to handle! Featuring an ultra-high-speed turbine and dual support bearings, it provides high-torque steady vibration-free action unmatched by any competitive handpiece. And it's quality-backed by the best warranty in the business. It sets up in minutes, too: simply connect a few hoses, plug in the compressor, insert the preferred bit and you're in business. 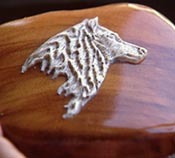 The SCM system offers many engraving techniques, too, from single line cuts to precision line separation. Brush the material with light strokes to create illusions of depth. Apply different amounts of pressure for dramatic lines or a "feathered" look. Add a totally new dimension by applying color to your work. Let your creativity run wild! The SCM secret is in the amazing high-speed, 400,000 rpm engraver, plus an easy-to-use stencil design system. 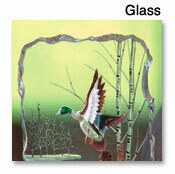 You can use stock stencils supplied by SCM, or make your own on a copying machine. 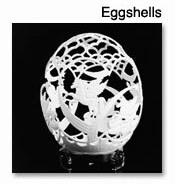 Then, put your stencil on the item to be engraved, take the amazing, high-speed engraver in your hand like you'd hold a pen, and simply trace through the lines. Remove the stencil, add any desired shading or touch-up, and you're done! Loaded with commercial features, the 400XS was rated in a recent study as the favorite tool among professionals! "Our testers felt the contoured pen shape of the SCM 400XS makes it the most comfortable to hold." "In the quality of construction, we were impressed with the quality of the machining on the SCM 400XS handpiece." "We liked the exhaust jets located in the tip of the nose on the SCM 400XS. The three jets blow away dust, making it easier to follow pattern lines."